The race has yet to begin, but if Canadians voted for the next leader of the Conservative Party they would choose the former Nova Scotia MP. Peter MacKay is Canadians' favourite to replace Stephen Harper as leader of the Conservative Party, according to a new poll. The poll, conducted by Abacus Data at the end of November, found the former Nova Scotia MP, cabinet minister, and last leader of the Progressive Conservative Party, to have the support of 31 per cent of Canadians on who would make the best Conservative leader among a number of presented options. He was followed at length by former Quebec premier Jean Charest (also a former federal PC leader) at 15 per cent. Current Conservative MPs Jason Kenney and Lisa Raitt each had 10 per cent support, while Saskatchewan premier Brad Wall was at 9 per cent among all Canadians. Quebec MP Maxime Bernier was tied with former Toronto municipal councilor and mayoralty candidate Doug Ford at 8 per cent, while Ontario MPs Michael Chong and Kellie Leitch rounded out the list at 7 and 4 per cent, respectively. Of course, the choice of who will be the next leader of the Conservatives will be made by party members, not the public at large. Among those who say they currently support the Tories, however, MacKay still leads with 35 per cent. Wall comes second at 17 per cent. Kenney (12 per cent) and Charest (10 per cent) were the only other candidates to score in the double digits. You may be forgiven for experiencing a little déjà vu with this poll. Ever since MacKay negotiated the merger of his Progressive Conservatives with the Canadian Alliance led by Stephen Harper in 2003, MacKay has been the polling favourite to take over the party. 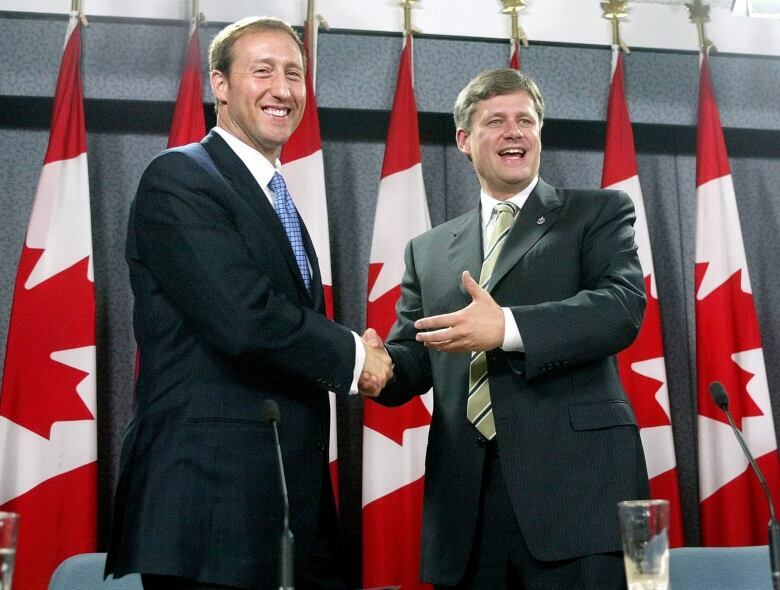 In a poll conducted in August 2005 by SES Research (now Nanos Research), a little over a year after Harper's first defeat in 2004, MacKay again topped the list of potential replacements. He had 30 per cent support among Conservative voters at the time, compared to 21 per cent for former Ontario premier Mike Harris and 12 per cent for Bernard Lord, then premier of New Brunswick. MacKay also led in polls conducted last year, when the Senate scandal had pushed the Conservative Party to new lows in public support. If MacKay's support among Canadians is at all reflective of his support among Conservative members, he would appear to have no regional weakness. He led in every region of the country except Alberta and the Prairies, and even there he only trailed Wall by two points (26 to 24 per cent). Kenney, an Alberta MP, came third in the region with 13 per cent. MacKay came out on top with 26 per cent in Quebec, but was followed closely by Charest at 23 per cent and Bernier at 22 per cent. The potential appeal of Bernier, who is likely to run for the leadership as the standard bearer both for Quebec and for libertarians within the party, will be an interesting thing to keep an eye on. If the Conservatives are to challenge for government by the next election, it will be necessary to appeal to voters beyond the 32 per cent who cast a ballot for them in October. MacKay led in the poll by a wide margin among Canadians who say they might consider voting for the Conservatives but do not support them at the moment. MacKay also comfortably led among Canadians who consider themselves in the political centre or on the centre-right of the spectrum. With MacKay at the helm, 47 per cent of Canadians said they would consider or certainly vote Conservative, putting him well ahead of other potential candidates. Kenney, Charest, Raitt and Wall all scored between 36 and 38 per cent, suggesting they have the ability to boost the Conservatives to competitive levels of support, but only just. Polling at 32 to 34 per cent on this question, Bernier, Chong and Leitch would seemingly not expand the Conservatives' base of support, while Doug Ford would reduce it to just 25 per cent. Does it mean anything yet? Party leadership polling carries a lot of caveats. Some of the candidates listed by Abacus may not run, and other candidates not included in the list may throw their hats in the ring. 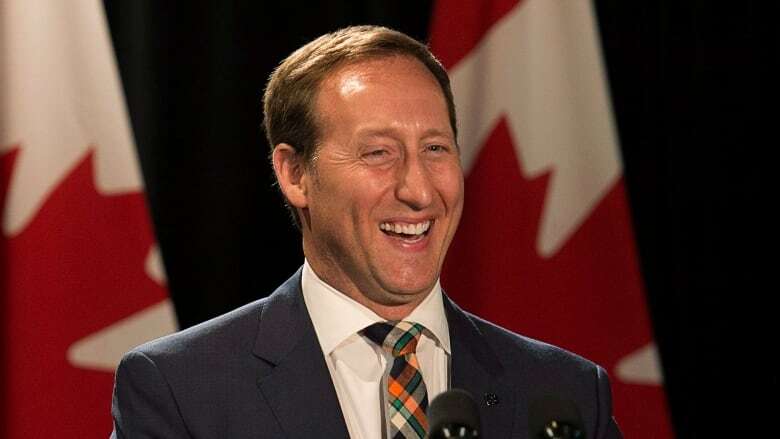 The poll is also greatly influenced by name recognition — none of the other candidates listed can compete with the lengthy national profile of Peter MacKay or Jean Charest. And, of course, only a fraction of actual Conservative voters will actually vote for the next Conservative leader. Nevertheless, while these leadership polls may tell us little about who Conservative party members will actually support (particularly considering that the vote will only likely be held in 2017), they do give us a strong indication of how Canadians are viewing the race at this early stage. Canadians may not have the final say on who leads the party, but they will have the final say on whether the right choice is made. The poll by Abacus Data was conducted between Nov. 23 and 25, 2015, interviewing 1,500 Canadians via the Internet. As the poll was conducted online, a margin of error does not apply. The Pollcast: Do Canadians want a change in how they vote?